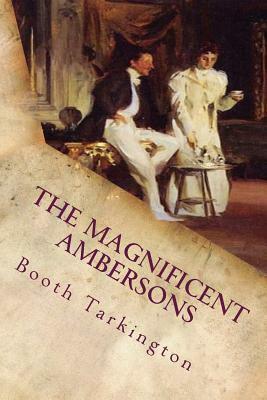 The Magnificent Ambersons is a 1918 novel by Booth Tarkington which won the 1919 Pulitzer Prize for the novel. It was the second novel in his Growth trilogy, which included The Turmoil (1915) and The Midlander (1923, retitled National Avenue in 1927). In 1925 the novel was first adapted for film under the title Pampered Youth. In 1942 Orson Welles directed an acclaimed film version of the book; Welles's original screenplay was the basis of a 2002 TV movie produced by the A&E Network. At its heart, a tale of a prominent Midwestern family in decline, it offers a perspective on the rapid industrial rise of America as seen through the eyes of George Amberson Minafer, a selfish, spoiled heir who is unable -- or unwilling -- to face progress. Yes, the movie is a masterpiece, but I think the book is just as satisfying. Tarkington's telling social commentary charts the rise and fall of three generations of the successful and socially connected Amberson family in the face of a changing America.